Good morning, all. Yeah, I know it's Monday, and it's cold, but Tim Marquitz is here to get the week off to a good start. 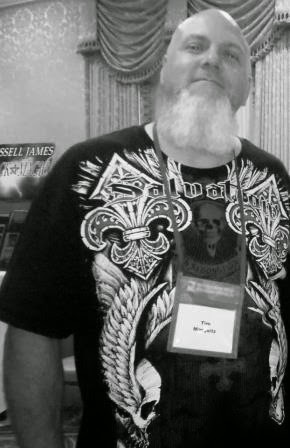 Author of the Demon Squad series and Editor in Chief of Ragnarok Publications, Tim has stopped by to talk about his latest novel, Dirge. Q: Thanks for taking the time to stop by today, Tim. For those who haven't yet had a chance to enjoy Demon Squad, Blood War, Dead West, or your standalone tales, tell us a little about yourself and what we can expect from Dirge. Thanks so much for having me. I’m a bit schizophrenic when it comes to writing, shifting genres based on the whims of the voices in my head. That said, there are certain aspects of my writing that transcend the genre, and those are that my work is always going to have a dark bent—sometimes exuberantly dark—it will always be set at a faster pace than most stories, and I like to put my characters and world at risk. Dirge is no different. It’s dark and bloody and relentless, but it’s also a tad bit literary, if you can believe it. Mind you, it’s not Rothfuss or Lawrence, but I went into the story purposely looking to make the writing more lyrical, more impactful than you find in the Demon Squad books, specifically. 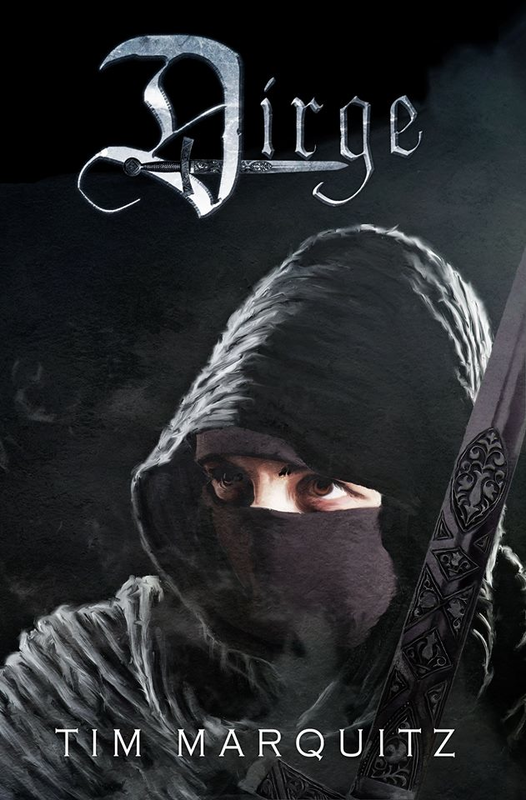 I wanted to expand my voice and the character of Dirge and add some grace to how the story and world are presented. I've had it lucky compared to a lot of folks. My fourth book, Armageddon Bound, took shape and was published shortly after it was finished, back in 2009. I’d only been truly dedicated to my writing since late 2008. There was no prolonged period of nerves or contemplation making the journey quick and relatively painless despite being a substandard affair. At least early on. The stumbling blocks cropped up later. That said, the fact that Armageddon Bound was published poorly has turned out to be a good thing, in my mind. It allowed me to overcome the ego aspect of being “published” while forcing me to learn and examine and dissect the publishing world so I could do better. I’d also gained an agent six months after being published, which of course fell apart, again making me try even harder to succeed. It wasn't until I had about five books published that the reality of my situation sunk in, and I was made to evaluate my place in publishing. I was caught up with a publisher whose focused changed from trying to produce quality work to one that decided larger numbers of books were their way to succeed. As such, given that and issues behind the scenes, I moved on to self-publishing. And while I still had a million things to learn, I was on my own to do them. There was no one to blame for my failures except myself. As such, I try to better what I do between each release, still striving toward that sense of accomplishment rather than feeling as if I’m always aspiring. Q: On that note (as if I could ask for a better segue), in addition to being an accomplished author, you are also, of course, Editor in Chief of Ragnarok Publications. What’s it like being on both sides of the author/editor relationship? It’s interesting, to be sure. I try my best to separate the two jobs because, as an author, I’m friends with a lot of these folks I’m forced to evaluate and reject on occasion. I deal with them online and at conventions and I don’t want to quash their dreams any more than I want my own quashed. I know what it’s like to struggle to get a story accepted, to have a publisher want my work, and I definitely know what it’s like to hear, “No.” It’s not comfortable. But because I've been on the receiving end, I feel (I hope) I come across with more empathy than an editor or publisher who isn't still striving to make it in the writing world. Q: You've written short stories, standalone novels, and series novels across multiple sub-genres of horror. What’s been your favorite genre or format to dabble in? The most fun I have writing is when I’m working on my Demon Squad books, which is urban fantasy. There’s just a freedom in the genre that allows me to cram a bunch of crap I like together and make it work. I can play with or against the tropes more easily than I could in another genre with more rigid boundaries. My second most favorite is horror, though I don’t do it often much these days. There’s just something primal about writing a character or world that exists solely to please itself. Some obstacle gets in the way, it’s removed, brutally. The genre is a great stress reliever. Q: When writing, do you find yourself considering how another editor or a reviewer will react, or do you write solely for your own satisfaction? I write 99% for me. The other 1% is based on genre boundaries and whether I have a specific goal in mind for the piece I’m writing. I’ll sharpen or smooth edges for the piece to fit where I want it to go (theme, genre, etc) but I write what comes to me naturally. I wouldn't want to do it otherwise. Well, I’m apparently both racist and sexist and quite misogynistic, if you can believe a few of my reviews. Had one reviewer state emphatically that I hate women because of the nature of my character and that no one who cares for their daughters should let them near my work. And while I try to ignore stuff like this, it’s pretty shocking to have someone come out and call me these things, standing behind their accusations simply because they've read something I made up, defining me and my character entirely based upon one in my books. Q: That's rough, especially when you're dabbling in the dark side. I know you've listed Barker, Butcher, Keene, and King as your influences - and I'm sure the same accusations could be made of them all. Assuming we're talking to readers with an open mind, what do you consider to be the three must-read books that any horror fan absolutely must read before they die. That’s rough as I don’t consider myself anywhere near well-read enough to make that determination. My personal favorites would be The Damnation Game by Barker, Heart-Shaped Box by Joe Hill, and I think I’m going to have to plead the 5th on this last one as far as must reads. That said, there are a ton of folks out there spitting out fantastic tales of terror that will eclipse the masters, if they haven’t already. Q: Okay, you mentioned Barker, so I'll let you off the hook. Before we let you go, though, what can we look forward to from you next? Man, last call already, huh? It’s been fun. Right now I’m working on the first full length novel of my Clandestine Daze UF series as well as book eight in the Demon Squad series. DS8 will be out by mid-year, and the Clandestine Daze book will make the rounds with agents before it sees the light of day so no telling when it’ll be out. Beyond that, I’ve a handful of projects I’m working on and plan to make 2015 a year full of me, whether people want it or not. Awesome. Thanks again for stopping by, Tim. Wreathed in the ashes of betrayal, forced to come of age in the dungeons of her stolen inheritance, Kallie Brynn Soren died so that Dirge might be born. In the midst of an undead invasion, Kallie is gifted powers by a dying priest. His last wish is for her to use them against the Necrolords in a way his faith would not allow. Reborn as Dirge and free of the priest’s conscience, she is more than happy to do so. But when fate brings Dirge into the employ of the emperor–the same man whose machinations brought about the murder of her father–the opportunity for revenge becomes too much to ignore. Torn between vengeance and the need to protect the only people she dare call family, Dirge learns there is a much deeper purpose to the Necrolord’s advance. Should it come to light, it might destroy everyone. Tim, those are some tough reviews. I ended up with a 'sexist' review for my first book, which lacked female characters, so I know the feeling. That's cool you work both sides of the equation. I'm sure you're a fair editor to the authors you deal with at Ragnarok. Thanks for hosting a sweet giveaway Bob! Dirge sounds like fun. I've always enjoyed the Demon Squad Books.